We have a few guidelines in place that outline our review policies. So, if you’re looking for a WinterHaven blogger to review and post a blog update on your book or have one of us participate in a blog tour or author interview, please review the guidelines below and contact us with any questions. We accept ARCs in the following formats: paperbacks, hardbacks, eBooks, egalleys, and occasionally audios. If you provide a paperback or hardback, it will be shared among the WinterHaven team and possibly offered as a give-away incentive upon completion. In addition, we love to share our reviews and reactions with our blogging community immediately upon completing the book. We will post our reviews on the WinterHaven Blog as well as GoodReads, and occasionally TheLibraryThing upon request. We will also send a notification of the review or give-away through Twitter and Facebook. If the give-away or immediate public review is not recommended, please notify us upon distribution of your ARC, and we will comply with your request. Several WinterHaven bloggers have a deep passion for Australian Young Adult literature. Therefore, if you are looking to gain some press for your book in the States, your chances are pretty good that we will comply with a review request, so be sure to contact us for consideration. Unsolicited ARCs, Self Published and Adult Literature: If you would like WinterHaven Books to review your novel, please provide a few sample chapters or the complete eBook along with a synopsis of the story. We will discuss the review opportunity among the team to see if one of us is available for review. However at this time we cannot guarantee a review or response for any unsolicited material. We do NOT accept review requests for the following: non-fiction, religious themes, self-help, brutally disturbing, graphically violent or political works. We are an active participant in Blog Tours and frequently accept Author Interview requests, so if you would like one of us to join a tour or conduct an interview, please don’t hesitate to contact us for consideration. In accordance with FTC Guidelines, WinterHaven Book Blog is in no way compensated for any reviews or promotional posts you see on our blog. On occasion we receive books from NetGalley, authors or publishers in exchange for a review. These are our honest opinion of the book, and we are in no way compensated for our reviews. All inquiries can be sent to winterhavenbooks (at) gmail (dot) com. We have a separate tab that lists our current give-aways, so before you enter be sure to review the guidelines below for our qualification criteria. Please contact us if you have any questions. In line with our passion of reading and reviewing, we enjoy the opportunity to share the experience with our followers. WinterHaven Books conducts frequent give-aways, which are posted in our “Give-aways” tab. In order to continue to provide give-aways, we must abide by the following guidelines. Contests and give-aways are open to entrants over the age of 18. Giveaways are managed through Rafflecopter and include a "free entry" for every giveaway. No purchase necessary. Entries will be reviewed for accuracy. The number of eligible entries received determines the odds of winning. 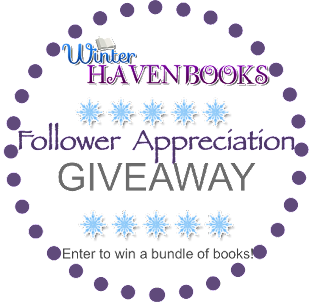 WinterHaven Books will only publish giveaway winner posts for multiple or 5+ book giveaways. All other giveaway winners will be revealed through the "rafflecopter" option on the original post. 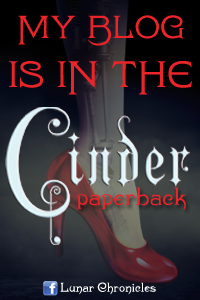 WinterHaven Books will notify winners within 2 - 4 days of the contest ending via email. The winner must respond with a mailing address within 48 hours, otherwise they will forfeit their prize and a subsequent winner will be selected. Please allow 14 - 21 days for your prize to arrive and longer for international shipments. Unless otherwise noted, contests are open to the US and Canada only. WinterHaven Books is not responsible for any lost or damaged items shipped or emailed. WinterHaven Books has the right to obtain and publicize the winner's name and likeness. Final note: Often we host give-aways on behalf of authors and publishers who have agreed to mail selected winners their prize. If the give-away specifically mentions the author or publisher is hosting the give-away, it is the author or publisher’s responsibility to ensure that the winner(s) get their book(s), not WinterHaven Books. Please allow authors and publishers a little extra time in sending your prize. WinterHaven Books will NOT forward your contact information for any reason.